Want to influence your local NHS services? Home > Newsroom > Want to influence your local NHS services? The Trust (WSFT) is recruiting members to its patient, public and family carer representative group, VOICE. The group supports the development of health services by engaging with the community and obtaining feedback about people’s experiences of care in order to help the Trust improve care quality and patient experience. 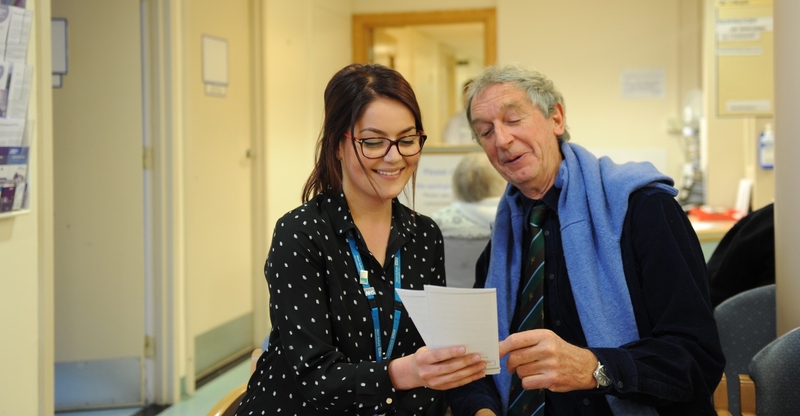 Members of the local public with an interest in the NHS and local services are invited to apply to join, to put forward the priorities of the local population and shape the future of west Suffolk’s healthcare. VOICE was founded in January 2018, and currently has eight members. Recently the group has worked together to conduct patient surveys and, notably, to support the interview process for the Trust’s new executive chief operating officer and director of workforce and communications. Members of VOICE are able to focus on all of the services that the Trust runs, including the West Suffolk Hospital, Newmarket Community Hospital and Suffolk Community Services. Meetings are currently held on a quarterly basis at West Suffolk Hospital over a weekday lunch, and travel costs are reimbursed. Cassia Nice, patient experience lead at WSFT, said: “We are so lucky to have a really engaged community in Suffolk who care about their local NHS.